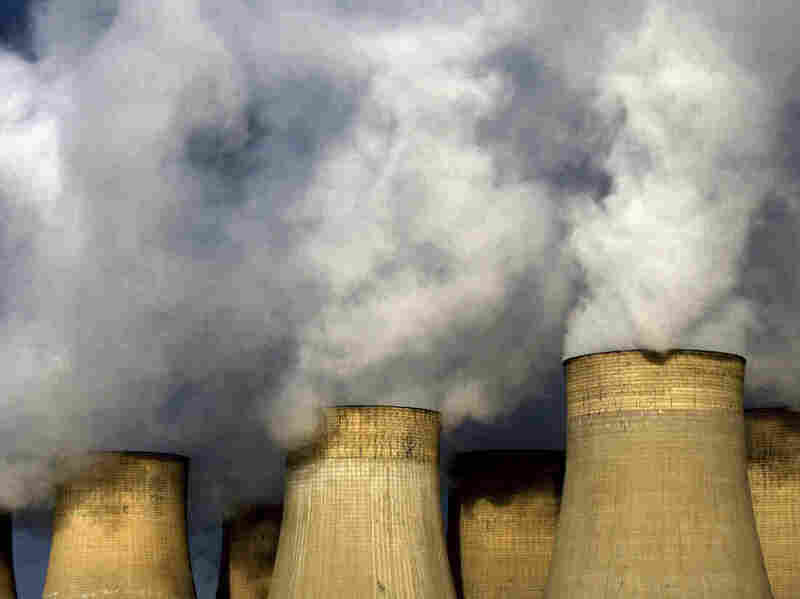 U.K. May Have 24 Hours Without Coal Power : The Two-Way The country's National Grid announced Friday it was on its way to a full day without requiring its coal plants to produce power. Britain plans to eliminate the energy source by 2025. Britain expects to go 24 hours without using coal to generate electricity Friday. It would be the first full day since the Industrial Revolution. The United Kingdom may be in its first full day without coal power in more than a century, its National Grid announced Friday. "It looks likely that today will be the first ever working day in Britain without #coal since the industrial revolution!" the agency tweeted. Great Britain has never had a continuous 24 hour period without #coal. Today is looking like it could be the first. "Coal has seen significant declines in recent years, accounting for just 9% of electricity generation in 2016, down from around 23% the year before, as coal plants closed or switched to burning biomass such as wood pellets. "Britain's last power station will be forced to close in 2025, as part of a government plan to phase out the fossil fuel to meet its climate change commitments. "Hannah Martin, head of energy at Greenpeace UK, said: 'The first day without coal in Britain since the Industrial Revolution marks a watershed in the energy transition. A decade ago, a day without coal would have been unimaginable, and in 10 years' time our energy system will have radically transformed again.' "
Reuters adds that last year, natural gas accounted for 42 percent of the country's electricity, with renewable and nuclear energy making up 45. Electricity generation from #coal dropped to zero today between 8:30am and 4:00pm, the first time in 2017! The country's grid managed nearly eight coal-free hours earlier this month. Just a little under a year ago, it went 19 hours without consuming the fossil fuel. Still, a benchmark of 24 hours will mean Britain's first day without coal-produced electricity since London's Holborn Viaduct fired up in 1882.